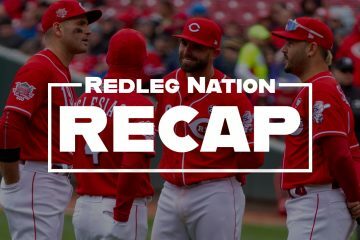 With another 90-loss season in the history books and no discernible improvement from the Reds’ pitching staff, the conversation surrounding the Reds for the next five months will center around trade rumors and free agent signings. 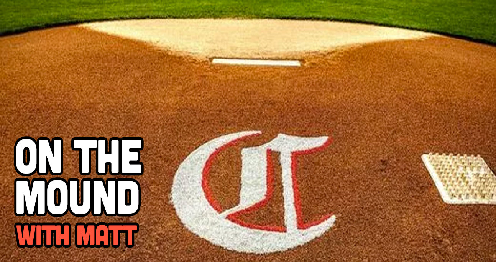 But before those talks begin, it’s time to put a bow on the 2018 campaign and what we learned from Cincinnati’s arms. My favorite way to do that is looking at the numbers. Here are a bunch of stats, some fun, some infuriating, and others just weird — much like the season as a whole — to cap off the year. The Reds didn’t lead the league in homers allowed for a third straight year — but they did finish second. Progress? For the first time since 2015, the pitching staff had a walk rate below 10%. Progress. Only 10 different pitchers started a game for the Reds in 2018, the lowest total in four seasons. At least 14 pitchers started in 2015, ’16, and ’17. The Reds still used a whole lot of pitchers overall, though. For a third straight season, the team used more than 30 pitchers, coming in at 32 total. Only 28 of those players were actually pitchers. A position player pitched in five different games this season (Brandon Dixon twice, Cliff Pennington, Alex Blandino, and Phil Ervin). Blandino led the team in strikeout rate (50%). He may become the first Cy Young winner in team history if he keeps that up. Okay, that was cheating. Luis Castillo was the leader among starters at 23.3%. Raisel Iglesias was the leader among qualified relievers at 27.5%. Back to the weird position player stat for a second. Coming into the year, the Reds had used a position player as a pitcher a combined five times since 2009. For the curious, those players were Scooter Gennett, Tyler Holt, Skip Schumaker, and Paul Janish (twice). Alright, now back to Castillo. No Reds pitcher eclipsed 2.0 fWAR for the second straight season. Castillo was the leader at 1.9. After a dreadful April, Castillo had a 3.57 ERA. He posted a 2.63 ERA from July onward. Castillo was one of 14 qualified starting pitchers to post a strikeout rate above 23% and a walk rate below 7%. Castillo is the first Reds pitcher to throw 150 innings in a season since Dan Straily and Brandon Finnegan in 2016. No Reds pitcher has thrown 200 or more innings since Johnny Cueto and Mike Leake both did so in 2014. A total of 90 starting pitchers threw at least 250 changeups this year. None of them had a higher percentage of swings and misses than Castillo (26.8%). That last stat was on all total changeups. When limiting the data to only changeups that were swung at, Castillo trails only Stephen Strasburg and Cole Hamels in whiff rate (43.3%). The Reds have another pitcher with a dominant changeup: Raisel Iglesias. Among relievers who threw the change 200 times, only Adam Conley and Trevor Hildenberger had a higher percentage of swings and misses (25.4%). He seldom throws a changeup, but Amir Garrett has a pretty electric pitch of his own. The southpaw’s slider registered a 26.9% swinging-strike rate, ninth among all relievers who threw the pitch 250 times and putting him one spot ahead of Brewers reliever Josh Hader. While his stuff was as good as ever, Iglesias struggled with the long ball, allowing 12 home runs. In 2016 and ’17 combined, he allowed 12 homers. Iglesias wasn’t the only pitcher to have a homer problem. It was, once again, a team-wide epidemic. The Reds allowed a homer in 119 of 162 games, the highest number in the National League. Only the Blue Jays and Orioles pitching staffs had more in all of baseball. The Reds did allow the most multi-home run games in baseball (69). They went 19-50 in those games. Clearly, Reds pitchers need to get more ground balls. They do have one of the better sinker-ballers in the league to help with that. Among all pitchers with 50 innings, only three had a better ground-ball rate than Jared Hughes (65.4%). On the flip side of that, only 16 qualified relievers had a lower grounder rate than the Reds’ other notable free agent signing from last offseason, David Hernandez (32.9%). Although it was a small sample size (43 innings), Cody Reed also posted a ground-ball rate in excess of 60%, coming it at 61.4%. Part of that is Reed has embraced “pitching backwards,” and that means throwing a whole bunch of breaking balls. He threw his slider 41% of the time and dropped his four-seam fastball usage to 20%. Reed wasn’t the only starter to feature his breaking ball more than any other pitch. Anthony DeSclafani delivered a slider on 34% of his pitches, a career high. DeSclafani’s whiff rate with his slider was just shy of his career best (19.6%) at 19.5%. DeSclafani had a career-high strikeout rate (22.3%) — but a career-worst ERA (4.93). The problem for Disco may lie in his pitch speed. He used his slider, four-seamer, and sinker a combined 92.5% of the time. Those pitches don’t have a ton of separation on the radar gun, with his fastballs averaging 93 mph and the slider averaging 86. In 2016, DeSclafani’s best season, he threw his curveball about 10% of the time and managed a career-best 15.6% whiff rate. This year, the usage rate was down to 4% and the whiff rate fell to 8.6%. Recapturing that pitch — which averages 80 mph — could help him create more deception. One player who has no shortage of pitches is Michael Lorenzen. He threw six different pitches this season (sinker, cutter, four-seamer, changeup, slider, and curveball), using them each at least 60 times. Unfortunately, that didn’t result in a lot of deception. Lorenzen’s strikeout rate dropped to a career-low 15.7% from a healthy 22.2% mark in 2017. Tyler Mahle’s season as a whole was disappointing, but let’s not forget about the promise he showed early in the year. The 26 swings and misses he registered on June 30 was tied for the fourth-highest total in baseball this season, trailing only James Paxton (31), Max Scherzer (29), Jacob deGrom (27), and Paxton again (27). Most pitchers’ stuff plays up out of the bullpen, and that seemed to be the case for Sal Romano. His 3.77 ERA, 3.58 FIP, and 4.40 xFIP in 14.1 innings of relief was significantly better than his 5.48, 5.10, and 4.72 marks as a starter. But effectiveness doesn’t start and end with ERA. Romano also had a much higher whiff rate in relief (10.6%) than he did in the rotation (8.4%), particularly with his slider (16.2% vs. 19.0%). Wandy Peralta had as many walks as strikeouts on the season (31), giving him the worst strikeout-to-walk ratio among all relievers with 40 or more innings. His walk rate (13.7%) was 12th-worst among all relievers with 40 or more innings; his strikeout rate is lower than all but four other relievers. Since 2010, a pitcher has thrown 100 or more innings in a season 1,287 times. Of that number, 25 had an ERA north of 6.00. Homer Bailey (6.09) is now among that group. On the bright side, Bailey was the only Reds pitcher to throw a complete game this year. No other team in Reds history has thrown fewer complete games. Baseball is a-changin’ (and also the Reds had pretty bad pitching). Still, the Reds did not set a team record for most bullpen innings in a season for the third straight year. Although the 2018 squad put forth a mighty effort (602.1 IP), the 2017 ‘pen still reins supreme at 610 innings. Given how many innings the group was taxed with, the bullpen threw well overall as the horror days of 2016’s historically bad relief corps start to fade from memory. The unit posted a 4.14 ERA on the season, its best showing since 2015. Interesting article. It’s cool to see the numbers back up what we already think. Castillo is an ace waiting to happen. I may be naÃƒÂ¯ve and look at things a little optimistically, but I don’t believe they are that far away. It just depends on if BC actually wants to pay to make it happen. And Bailey would never pitch for me again, unless it’s out of the bullpen. And if he doesn’t ‘want’ to do that, then he can sit.. Question: If the Reds had a vacancy at pitching coach (I have no idea if they do) in Louisville, Pensacola, Daytona or Dayton, would it make any sense to just send Bailey down there and let him hang out as a player-coach at that level next year? He’d be the most expensive A-ball pitcher in recorded history, but at least there would be some value recuperated on some level. 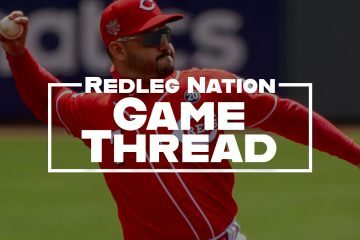 At any rate, I’m with you: as much as I like Homer Bailey, he doesn’t need to start for the Reds again, and I’m not really even sure about a bullpen role at the major-league level, even if he wanted one. (1) Bailey comes to ST.
(2) It is determined whether he can contribute in any role whatsoever. (3) It then falls on Bailey to decide whether he wants to be an MLB pitcher -anywhere-, what it may take to get to that level, and the route. (4) Nobody in MLB is going to touch him at his current capability and price, so he’s going to have to rehabilitate himself in the minors and then, and only then, market his talents to another MLB club that will offer him very modest money, possibly MLB minimum. It’s a path that other pitchers have walked before, although the probability of success isn’t all that high. (5) To facilitate this: The Reds take his 2019 salary (25M) plus 2020 buyout (5M) and, instead of lump summing, offer to annuitize it. This would still be a big hit in the wallet up front for the club but (SWAGing all the way) it would be on the order of $10-15M, and NOT 30M. Once the contract is annuitized, Bailey is given his unconditional release to pursue whatever direction he thinks can get him back to MLB pitching elsewhere. He has his money, although deferred, and can move on. And besides. Wouldn’t you really have Bronson Arroyo in that role? Lord only knows what Homer might try to teach younger arms (not a knock, just think that Arroyo has the temperament to be an instructor and Homer might not be there quite yet.). Of those options Pensacola would probably be the best place for him to coach. Great stats! I’ll repost this from yesterday–the Reds are 27th in WHIP when ahead in the count and 23rd in WHIP when they are behind in the count. Clearly their pitch sequencing and scouting needs to be revamped. If you assume this team will not challenge for the division next year, the notion of acquiring a front line starter or two will be more difficult to achieve than we think. It would not be in our interest to gut the farm, so aside from throwing money at the problem what do you do? Just like last offseason I think the whole question revolves around Raisel Iglesias. I think you try one of two things: 1. trade him to land the young controlled starter, or 2. Convert him back to a starter. For the 2nd option, I know people will say ‘oh, he’s proven he can’t handle the workload’, but he is 2+ years removed from any health issues whatsoever (caveat–that we know about). I think it’s a reasonable risk for a few reasons. 1. You’re not paying him much. If he gets hurt, it’s not a Bailey-esque franchise crippling move. 2. His stuff is more electric than any young starter you could get in a trade. Plus he has the advantage of knowing the league and could pace himself. 3. You’re not asking for 8 innings nowadays, just 6 every 5 days……..or 3 every 4 days (reliever as starter) gets you 50 more innings! This usage would be far more valuable than the ~40 high leverage innings out of just 72 innings this season. Instead of a 2 win player, now you’re at 3.5 to 4. No argument from me Sultan. The Reds certainly didn’t need a near elite closer this year. Earlier in his career, Home had some shoulder issues. The remedy was for him to gain weight and bulk up his shoulders, to keep away from an injury. That worked, as he avoided a shoulder injury (Elbow, something else). Raisel could be encouraged to increase his upper body bulk to prevent shoulder injury if he returned to the starting rotation. And yes, I like this idea too. Raisel DID want to be a starter at one time. Interesting WHIP stats, but I’d say it was due more to the pitchers (other than Castillo) not having a ‘put away” pitch. Too many times they get ahead with 2 strikes than try painting the corners with no success. Interesting stuff and some weird stats indeed Matt. Free Blandino! On a “what do they do next” note – one change is simple. The Reds are not just one player away from relevance. But they have a huge opportunity for easy improvement (okay, two, but we’re not talking about the league’s worst hitter Billy Hamilton on this thread). Replace Homer Bailey. The non-Bailey Reds actually did get better this year. They were 28 games under .500, 2 games worse than 2016 and 2017. But replace Bailey with a starter who helps the Reds win half his starts, and suddenly things look very different. The Reds were 18 games under .500 in Bailey starts in 2018. If in the same 20 starts next year they are just 10-10 then suddenly the record looks more like 76-86. Now obviously that’s not a playoff team, but man that’s low hanging fruit. It will be painful, it will be expensive (but, hello, sunk costs) but Bailey needs to go home and enjoy Texas while someone else and surely someone better toes the rubber in Cincinnati. As far as I’m concerned Bailey was so bad this year that he creates an excellent and easy opportunity for fast and substantial improvement in 2019. Yes, there are subtleties and qualifying factors there, but the bottom line is flip 1-19 to 10-10 with one pitching change and the Reds are immediately a competitive team. Not playoff relevant yet, but so much closer in one big step. I agree with that argument, but there does need to be at least one other move made and that is getting another right handed bat that has some power and has and OBP above 310.. I do not know the number of left handed pitchers we faced but it sure seemed like a lot. And maybe Senzel is the answer to that. The question is where does he play? Totally agree Scott. I was just holding that for a separate discussion. In a strange way, it’s good news that the Reds had literally the worst pitcher in the league and the worst regular hitter in the league. Upgrading should be easy and effective. Hamilton has to go. And although I’ve been ardent about advocating for trading Gennett and installing Senzel at second base, if Gennett gets healthy and stays at 2B, and the outfield is then Senzel, Schebler, Winker in some arrangement then there’s your (BIG) BHam upgrade. I know, they won’t have a good centerfielder. But that price will be more than offset (a LOT more) by the offensive return. Think Shin Soo Choo. That was a pretty good year. I’m heavy on the optimist’s side of the ledger but I honestly believe that if the Reds find a .500 starter to replace Bailey, and upgrade the offense from Hamilton to Senzel, then they actually ARE just one ace pitcher away from playoff contention. Assuming of course that the main guys all stay mainly healthy. That’s always the big IF. Can’t wait. When Choo was in center, the Reds were not an otherwise less than mediocre defensive team. I’m not advocating that Billy be the starter, but his replacement needs to be a decent fielder. Whoever it is will be flanked by below-average corner outfielders and will be the last line of defense for a porous infield. The catching os good, but the catchers are on the wrong end of a batted ball to solve the problem single-handedly. Only, we can’t assume that they would be .500 in those starts. Would subbing a different pitcher in from Bailey help? Yes, it very likely would help but as far as the W/L column I don’t see it moving the needle as much as you think. 42. Reds ERA for the month of September was 3.74. That was 10th best in the ML. Only the Mets & Reds had a losing record & were among that top 10 in era for September. Small sample size, but not depressing, & that’s a rare find. Interesting! Emphasizes just how much the bats collapsed in September. My thinking has always been that if you give the Reds a pitching staff with an ERA in that 3.74 range, we’ll take our chances. More Zen Master, less Bailey. Very good Matt. It will take some time for me to absorb the possible implications but just the sheer database work is dazzling even in this era. To me that is a wonderful stat and is it or was it a fluke.What changed.Can’t remember much since I have bid farewell for the season.Did Homer make any starts?How many starts did Reed make and Lorenzen?Castillo was really good I remember?We lost more then we won yet we pitched much better.We faced some good teams but were in the game much longer because we pitched better.Our offense was really really bad I remember but can’t remember how many time we got shut out.Some felt our guys just gave up or were just worn out or both.One guy always talked about cookie time and how we often were so far behind our offense got cookies to hit which padded individual and team stats.For me what I expected to happen earlier in the year actually didn’t happen until the last month of the season.I expected out pitching to get better and our offense to then be exposed.That’s what I never was all in that even though the stats said we were middle of the pack in runs scored we were good enough on offense.Our pitching needs to improve period.How they choose to do it is there call but we have holes on offense and on defense and personally I think its much more then just a couple of moves but CFD is right about Homer and Billy and that will make us better.Not playoff caliber but better.I would love to see just better after sooooooooooo many years of going the other way.Gone again until the spring. Fun and Reds pitching staff should never be mentioned in the same sentence. Unless you’re an opposing hitter. great article Matt. game to game I felt the pitching was better this year than in 2017. although statistically from your research it doesn’t look like we were much better. I feel we were “in” more games than last year and had our offense not taken a siesta in the last 2 months of the year we would have had a far better record. I Do think the reds at least sorted some things out this year from the pitching prospective. 1. Romano cannot be a starter (at least in the near future). 2. Mahle- I think we can pencil him into the bullpen for next year as well. does not seem like he can get past 80-90 innings. 5. Bailey- 25 million dollar mentor for the young guys. 6. Castillo/Disco are probably your 1 and 2 starters for next year. 7. that means we need one free agent starter next year. Harvey to mean seems the best choice. he likes Cincinnati and seems to be a good fit in the club house. 8. the pitching is probably not going to be better than September 2018 statistically next year no matter what moves are made. Our record was really bad in September so we have to improve significantly on offense, defense, and base running to play 500 ball next year which likely will be our goal. That was an interesting tidbit on Hughes and Hernandez (#20 & #21). That goes hand in hand with thinking about trading Hernandez and obtain 2 relievers through trade and/or free agency with higher GB%. One a LHer. A BHam trade makes sense to happen before 40 man rosters have to be set near end of November. He could be non-tendered, not likely but possible. I don’t see any likely non-tender candidates. Other than DeSclafani, which would be highly unlikely. Unless there is something we don’t know. I see Riggleman says his interview went well with everyone there. He said he open to new way and they know he knows how to manage a game. Yup. And Billy will spend the off-season working out in Arizona, becoming a team leader and a hitter like Peraza. And don’t forget that Marty will be making the trip to Monterrey next year. So much to look forward to with the Reds having ended their season only two days ago. Not to be nitpicky, but the Reds did lead the league (NL) in HRs. Baltimore allowed six more, but that’s not a fair comparison because of the DH. The Reds allowed fewer HRs this year, but they were just as bad if you look at it compared to league average. They were 29% higher than the NL mean in ’18 and 27% higher than in ’17. Much better than ’16 (45%) though!